A volume booster is used in a pneumatic control system to relay a low flow signal as one with greater flow volume. The common configuration is to provide a 1:1 ratio between the input and output pressure, keeping the input and output signals the same pressure. Products are available that deliver different ratios. The general purpose of a volume booster is to provide a relay between a system with low flow volume and one with higher volume requirements. 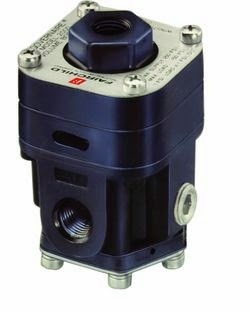 A typical example is a pneumatic actuator. 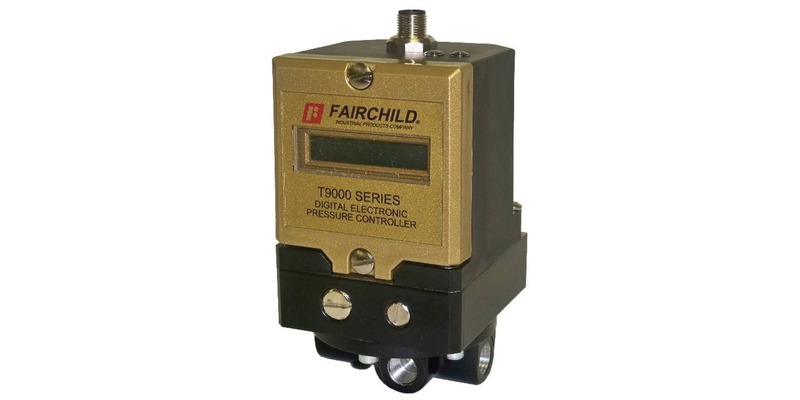 The flow available through the pneumatic signal line may be insufficient to deliver the response rate desired from the pneumatic actuator. A volume booster, with control over an independent air supply, solves this challenge with increased flow volume at the same pressure as the control signal. Volume boosters are simple in operation. The input signal applies force to one side of a diaphragm, the output pressure to the other. An imbalance between the two applied pressures will cause the diaphragm to move, changing the position of the valve and the outlet pressure until the two forces are again in balance. Little maintenance is required when the units are properly installed and supply air is of good quality. 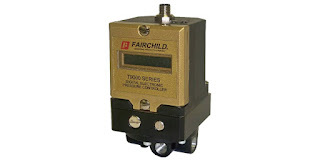 The unit pictured is from Fairchild, a well recognized manufacturer of industrial pneumatic components, and provides a 1:1 ratio. There are some key points in the selection process, so reach out to a product specialist with your pneumatic system challenges and requirements. Combining your process and facility knowledge with their product application expertise will produce effective solutions. Reliability in engine under test fuel supply. Stainless steel construction for wide range fuel suitability. 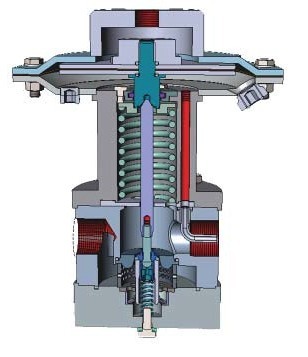 Constant output, even with fluctuating supply pressure or downstream pulsation. Design allows for quick fuel changeover. Washdown and internal purge capability. Review the literature below and contact a product specialist for more detailed information, or to discuss your application.